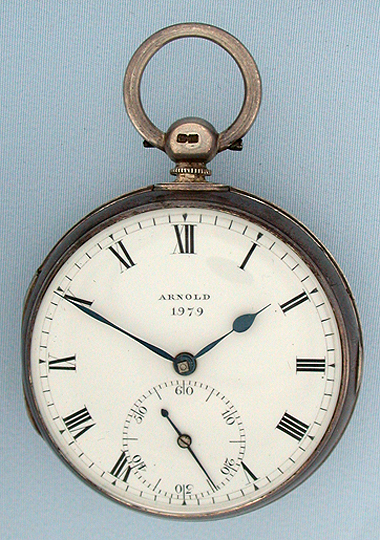 Fine silver English detent chronometer antique pocket watch by John Roger Arnold, London, circa 1804. 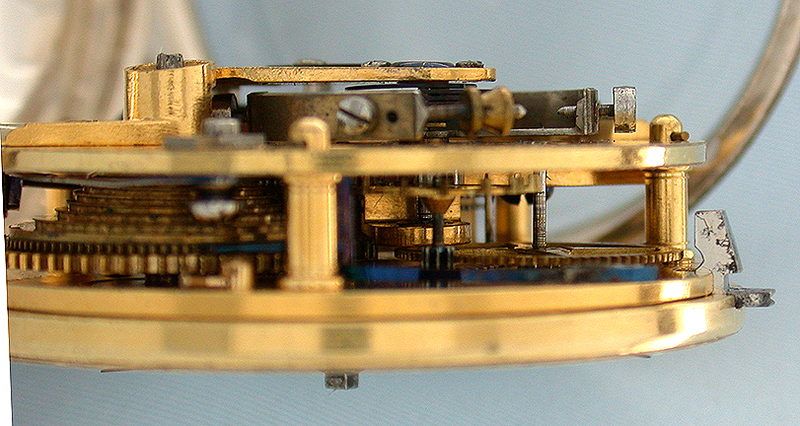 Handsome full plate freesprung fusee movement with Arnold's spring detent, elaborate balance, helical hairspring, and diamond cap jewel. Fine white enamel dial with tiny glaze scratch. 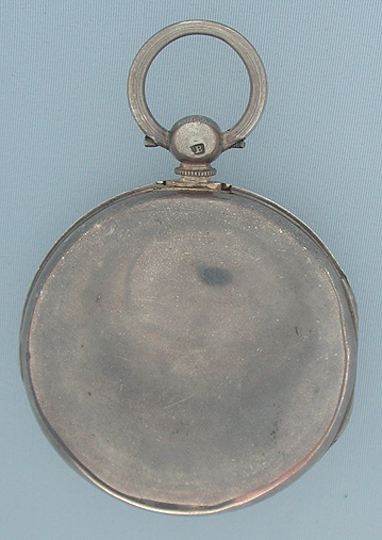 Silver consular case with slightly wavy back. 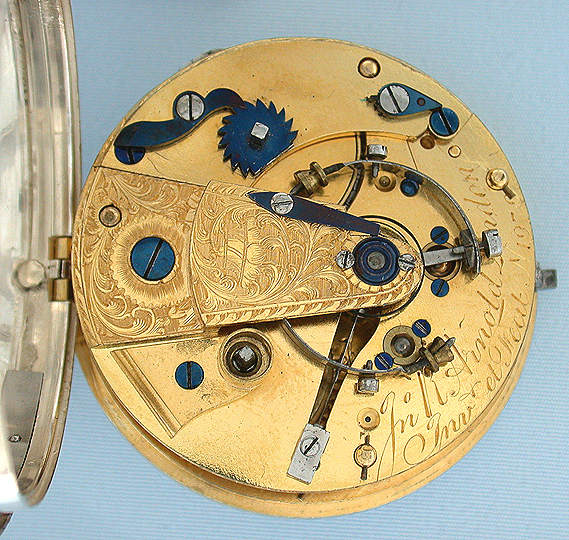 A lovely example by a most respected and innovative maker.